Spelsberg has extended its enclosures portfolio with a new line of heavy duty GRP (glass reinforcedpolyester) products. 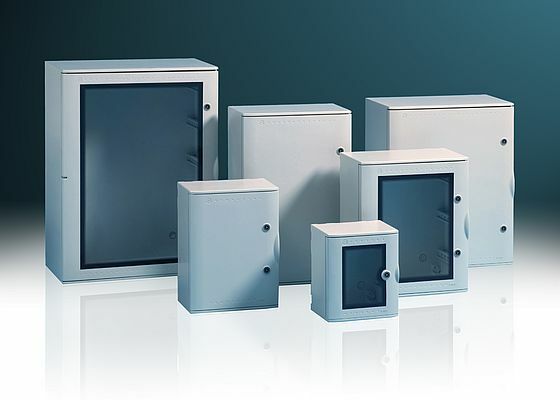 Robust and reliable to meet the needs of the harshest industrial environments, the GRP enclosures are offered in a range of sizes, and boost application flexibility through a wide range of accessories and the possibility of both CNC modifications and a host of customisation possibilities. The enclosures provide corrosion resistance for electrical and electronic controls in the harsh environments typical of the marine, offshore, petrochemical, paper and water treatment industries. Sealed to IP65 to protect against the ingress of dust and liquids, the GRP enclosures offer a robust construction, with features such as an integral drip shield to direct liquids away from the door shield.